I have been loving pink this year for Valentine’s Day Crafts!! When I realized I had some mason jars sitting around, I decided to use them to continue the pink ombre theme. 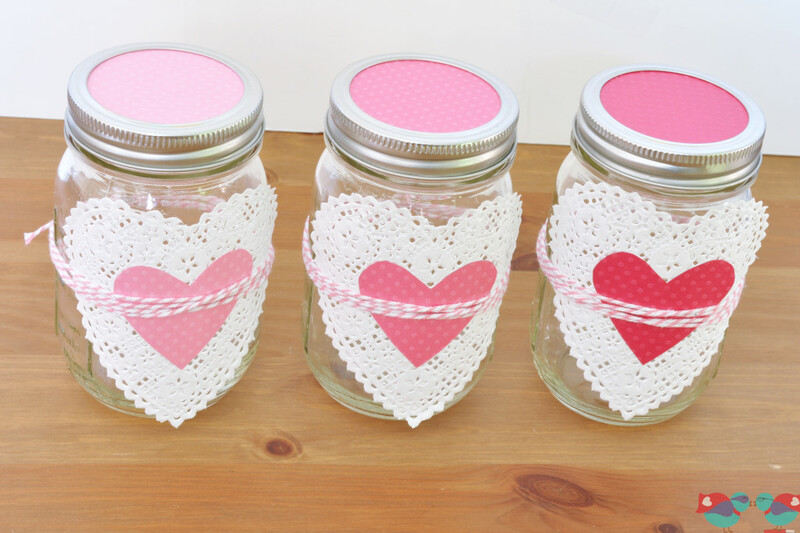 These are very simple Valentine’s Day decor, but I think they are very sweet with the white and pink hearts. 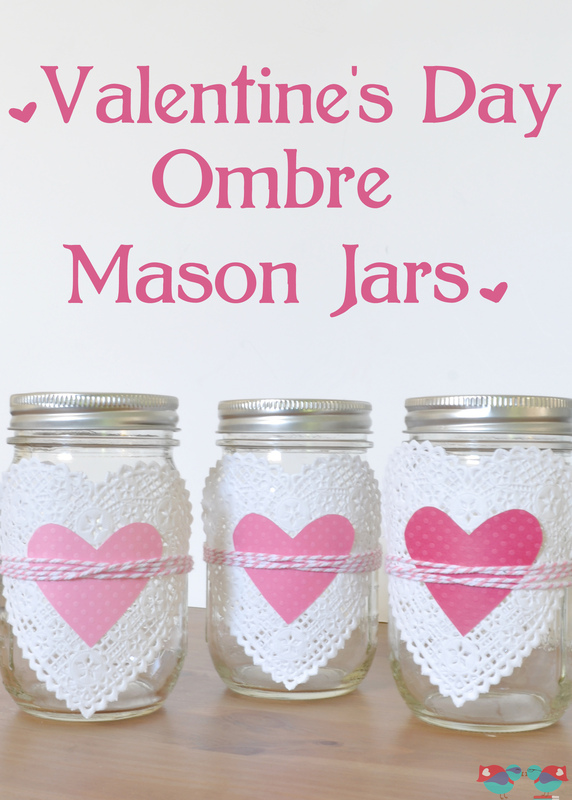 Plus, they are temporary decorations, so you will be able to your mason jars again later without a problem. I LOVE projects like that! 1. Cut out the inside solid heart from one of my doilies to use as a stencil for the pink heart. 2. On the back of your paper for each shade of pink, trace the heart and then cut out. 3. 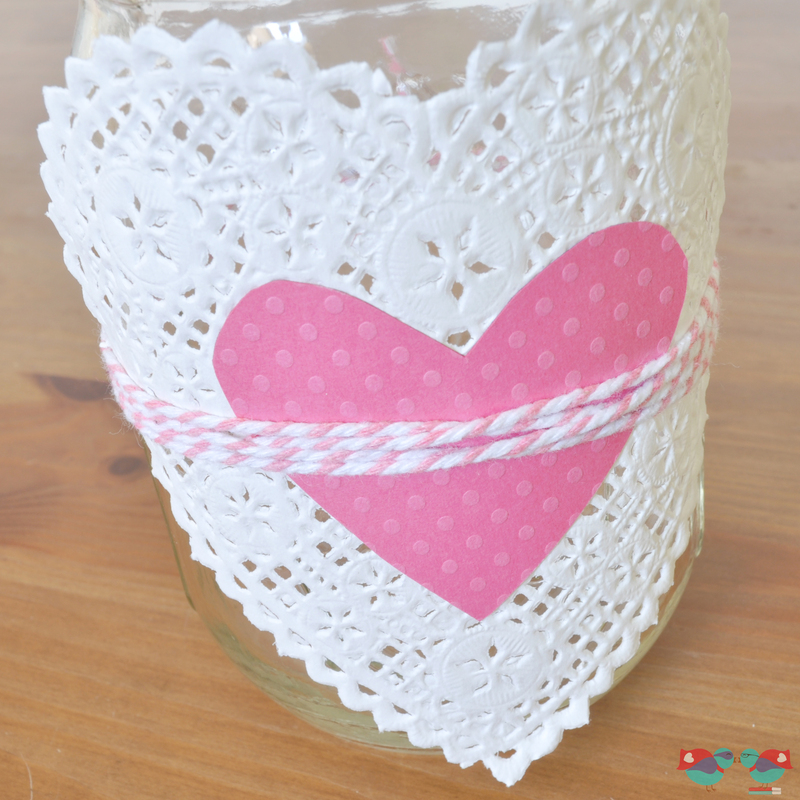 Attach the pink heart to the middle of a white doily using either glue or an adhesive square. The ribbon or baker’s twine will keep them together; this is just to make it easier for placement on the mason jar. 4. Cut a piece of baker’s twine or ribbon at your desired size. I wrapped mine around 4 times for my desired look and then cut. 5. 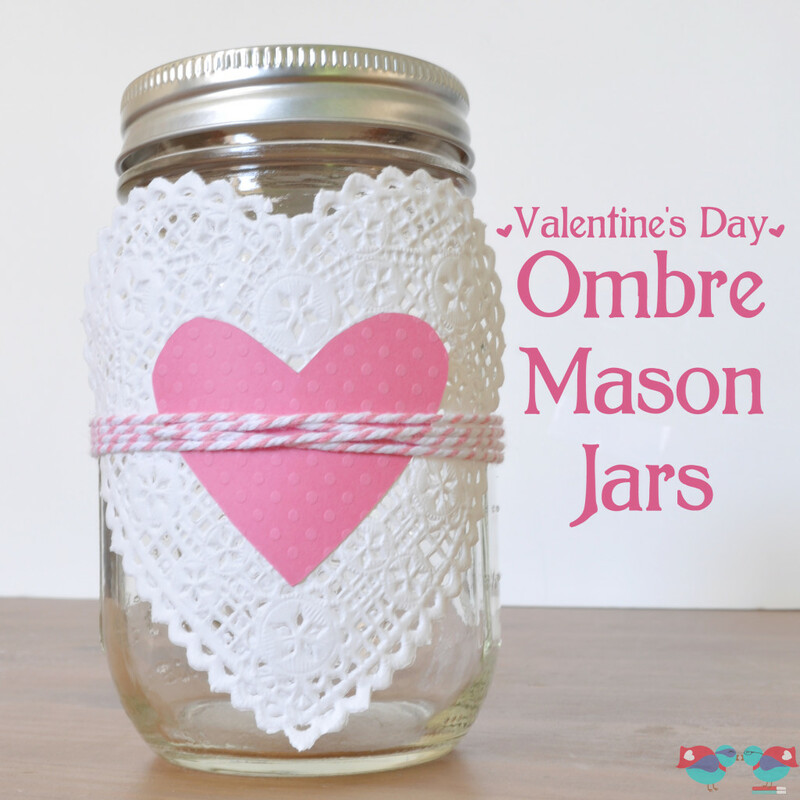 Put your doily with pink heart attached against the mason jar and then carefully wrap the twine or ribbon around and tie. I say be careful because you don’t want to pull and catch the edges of the doily since it will rip. 6. I wanted to add the pink to the top of the mason jar as well, so I used the top circle piece of the mason jar lid to trace a circle on the back of the pink paper and cut it out. Then I just put it on the top before screwing on the outside ring of the lid. While I made this for my series of Valentine’s Day crafts, I also think these would be such a sweet touch at a wedding! How cute would these mason jars be with either flowers or candles in them?! If you like this Valentine’s Day decor idea, you should check out my other posts! It’s been all about the pink ombre and hearts this year! These are cute and I love the reusable factor! I love even more than this is simple and not something that may yield a hot glue gun burn…because I have not once used a glue gun without burning myself. Stopping by from SITS-thanks so much for sharing!